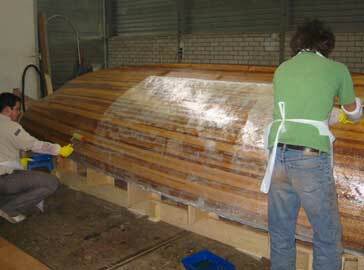 Karel Heijnen had a woodcore Romilly built by Bart-Jan Bats in the Netherlands over the winter of 2002-2003. 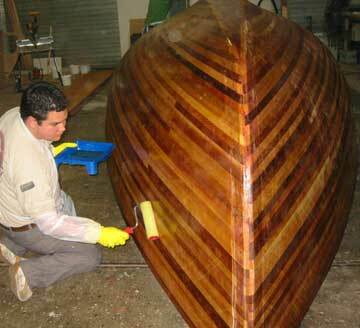 Karel says that Bart-Jan Bats did an excellent job and Karel worked the last week of building with him on the finishing touches. 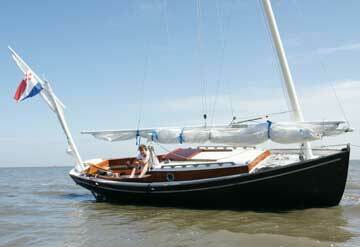 Her maiden voyage was in July 2003 in Gaastmeer, Friesland. I choose for stainless steel castings, no traditional bronze things. 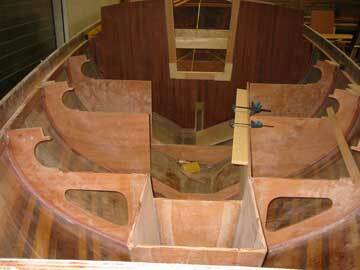 Also Harken blocks etc. 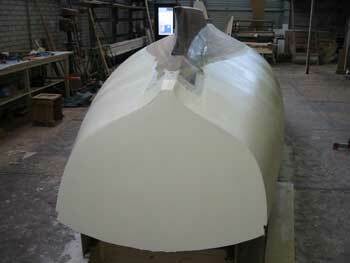 Therefore, I had to design a few things (and technical drawings for custom made) like the anchor roll, rudder hinges, masttop band an some minor things, like anti chafing strips for the main sheet. 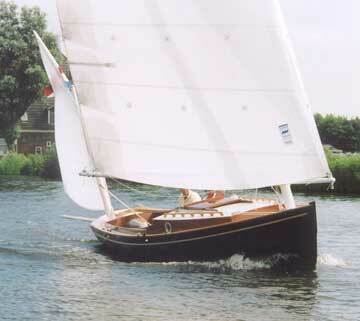 By the way, the boatname is ZEUNTJE which means youngest seaman aboard tradional Dutch fishing vessels like BOTTERS and so on, before WW II, age around 11-14 years. 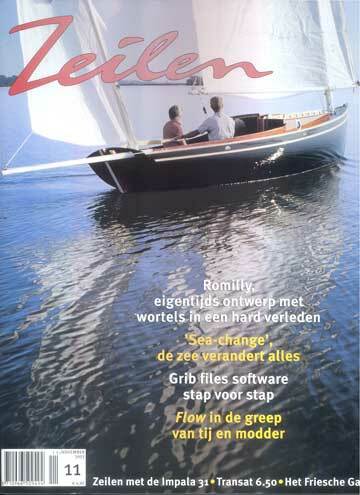 I asked the question if ZEUNTJE would translate to “cabin boy” like in the Captain Pugwash cartoons but it appers that it is a very specific term used in Holland for a boy working on a fishing vessel, they were very young. 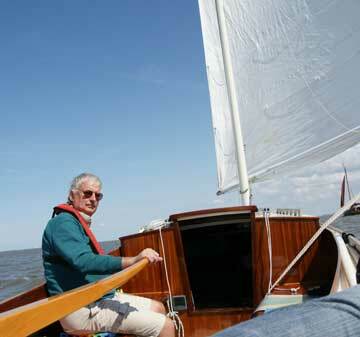 Karel sails the boat in the Northern part of Holland, Friesland. 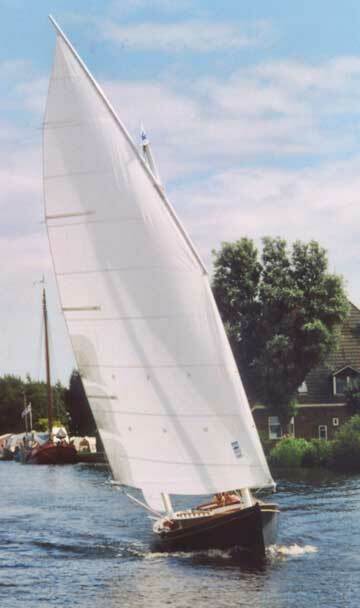 The two photographs above are taken in de Waddenzee, sailing an drying out on the ENGELSMANPLAAT, with my son Geert, age 14 years, who did his first trip at “sea”. 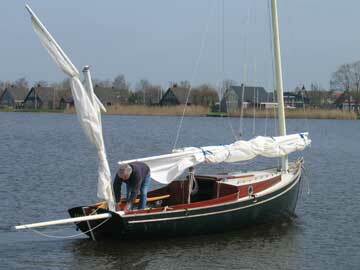 The following are some very nice sailing and general cruising activity pictures of ZEUNTJE.